Small businesses have a large impact on the economy, and while they may not be as high profile as more familiar company names, they are collectively a significant economic driver. The U.S. Small Business Administration estimates that small businesses represent more than 98% of all employers and employ nearly half of the private-sector labor force. As the state workforce continues to shrink, small businesses become even more critical to Springfield’s economic stability. United Community Bank has partnered with Springfield Business Journal since 2003 to honor outstanding small businesses in our community. Each year, 15 businesses with 15 or fewer employees are selected for this award. 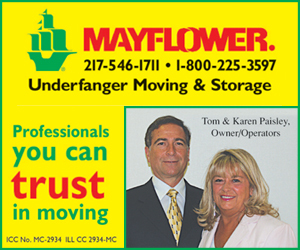 They must also be located in Sangamon or Morgan county and have been in business for at least two years. This year’s selectees range from a home based business to several with visible retail locations. What they all have in common is that they were nominated by someone who felt they were deserving of recognition. UCB will host a reception at their Montvale branch to honor the selectees, and Marita Zuraitis of Horace Mann will be the keynote speaker for the awards ceremony. We hope you enjoy reading the profiles of the “15 Under Fifteen” in this issue and will join us in recognizing them. Thank you to our sponsor, United Community Bank, for making it possible to celebrate these local businesses. 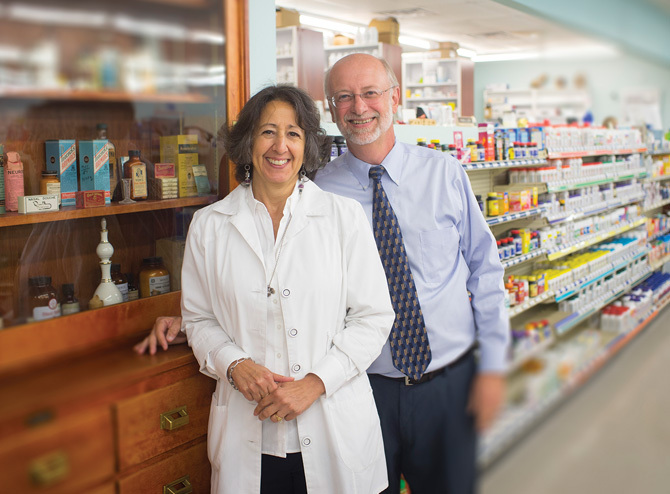 Registered pharmacists Tom and Nancy Curry started their own pharmacy in 1999. Both had worked for big chain pharmacies for several years and saw this as an opportunity to be their own boss. Three years ago they brought on a third pharmacist – their niece, Natalie Howes. “We wanted to be involved in the decision making and help out the community,” said Tom. He and Nancy are very involved in the Riverton community. Business is going well. “We have quite a loyal customer base,” said Tom. They believe in taking care of and getting to know their customers and offer free prescription delivery service to the Riverton and Springfield area. 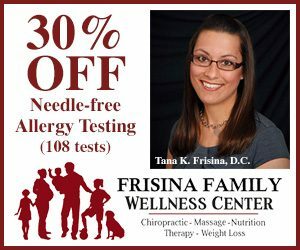 The pharmacy offers prescription services, comprehensive medicine reviews and immunizations and also carries a line of Dr. Comfort diabetic footwear. Six years ago, the Currys put in an old-fashioned soda fountain. They have an extensive front end, and sell specialty items and a full line of giftware. They believe in going above and beyond for their customers and are always available to answer questions. “It’s all about customer service,” said Tom. The Springfield Clinic has a rural health clinic adjacent to the pharmacy. “Come out and visit the soda fountain,” said Nancy. “Gymnastics is the grandmother of all sports,” said Merrill McDaniels. She and her husband, Leroy, are both Springfield natives and have been “developing strong healthy future leaders” for 40 years and essentially put gymnastics on the map for the City of Springfield. They have been at their present location for eight years. The gym opened with 25 families and today is training a second and third generation of young athletes. In 1972, Leroy started the Flip Flops, Springfield’s first tumbling team, and from this group the couple started their own gymnastics school. All but one of their coaches grew up at L & M.
“When we started out, we didn’t know we’d make such an impact,” said Merrill. The school sponsors competitive male and female gymnastics teams and encompasses tumbling, trampoline, cheerleading and double-mini for ages two through 16 for males and two through adult for females. The school pulls students from within a 70-mile radius of Springfield and offers classes from novice through professional. The couple would like to secure their own building in the future. “That’s always on our goal list,” said Merrill. Kyle Killebrew got his real estate license in 2004 but didn’t plan on using it. Instead, he wanted to mow grass. He credits Bill Lash and Pat Reagan with turning things around and teaching him the real estate business. 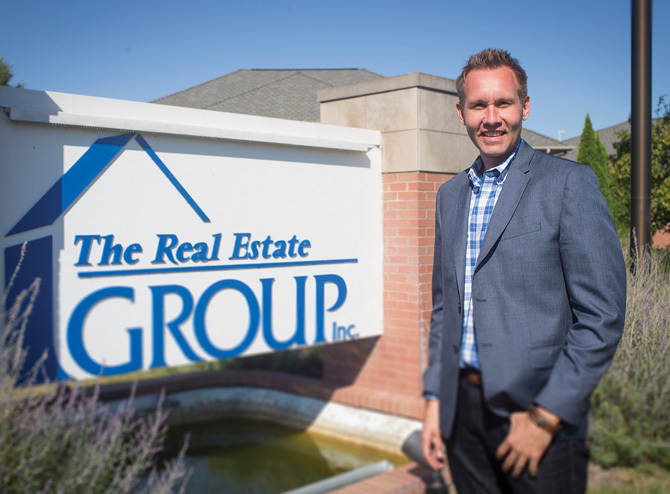 He worked for Realty 100 until it merged with The Real Estate Group in 2007. He feels his age gives him a competitive advantage because there’s been a technological shift in the real estate industry. “Real estate has gone virtual,” he said. He strives to take away the pressure people are under when planning a move and goes above and beyond for his clients. “I’m a problem solver,” he said. He loves figuring out creative solutions to problems and finds a sense of humor a good attribute. 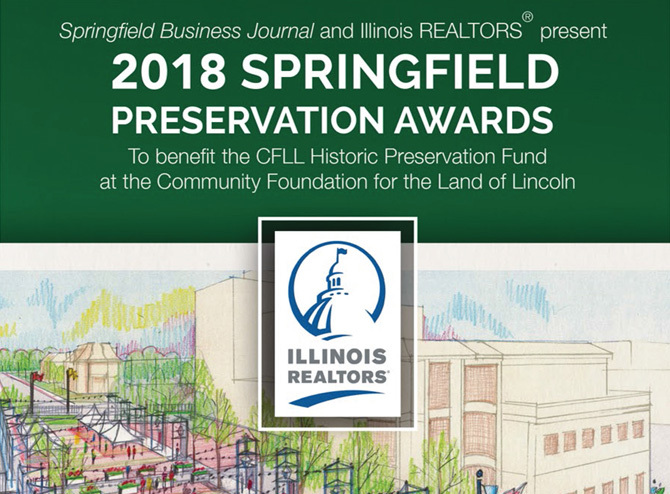 “Springfield is an excellent place to have a real estate career,” he said. He handles a large volume of sales and was named one of the top 30 under 30 in the country by the National Association of Realtors. 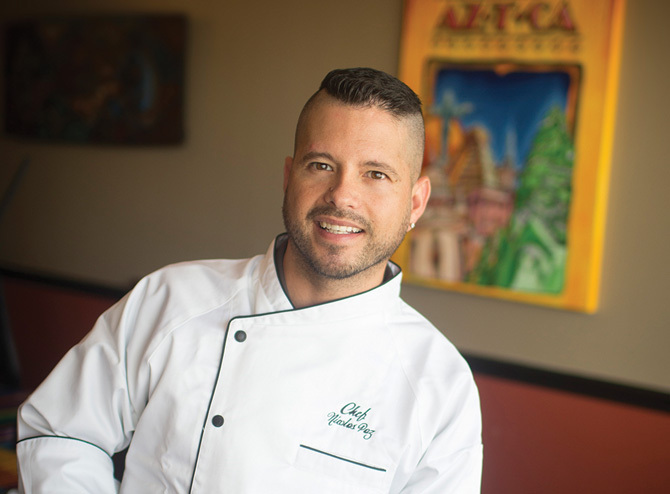 Nicolas Paz learned to cook from his grandmother when he was six years old. He grew up in Bolivia, where he was trained to utilize whatever ingredients were around. “I learned to be very efficient in the kitchen,” he said. After he graduated from college there weren’t any jobs so he decided to create his own opportunity and hire himself. He opened a Mexican restaurant because in the Midwest it was difficult to find the ingredients he needed to prepare South American dishes. He prepares everything from scratch, using only the finest, freshest ingredients. He wants customers to feel like they are in his kitchen and to have a good dining experience. It’s that personal touch that sets his restaurant apart. He has outgrown his original space thanks to his loyal customers and plans to expand into the building next door, where he wants to offer a tapas menu with a full bar. His 13-table restaurant currently seats 50. 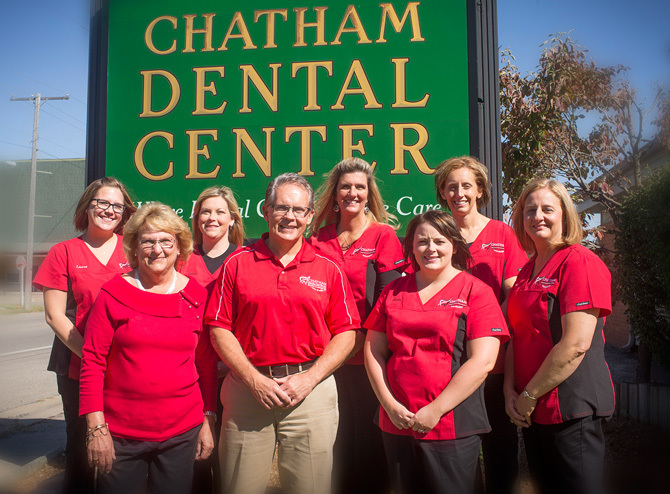 Dr. Donald Staten has been practicing family dentistry since 1987 when he joined the dental practice of Dr. Robert Norton. Following Dr. Norton’s retirement three years later, he took over the practice. He shares his practice with Dr. Kathleen Woodruff and her assistant. 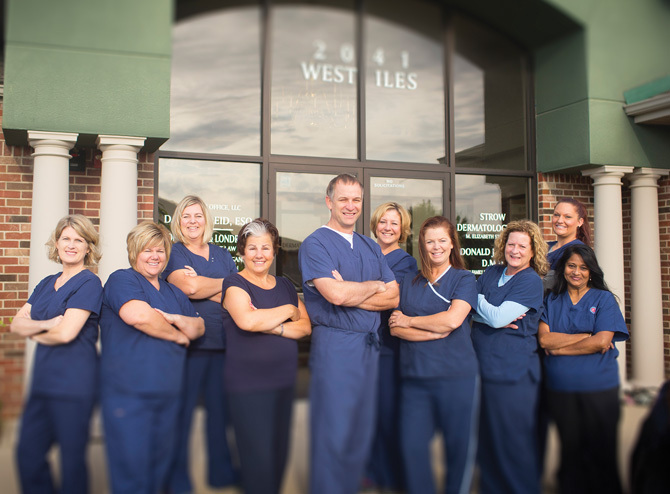 Dr. Staten offers preventative, restorative and cosmetic dental services for all ages. He’s always there for his patients, who he thinks of as family, many of whom he has watched grow up. Indeed they are a loyal group, with some traveling from St. Louis, Wood River and even Chicago for appointments. He would like to pass his practice down to someone who shares the same fervor he has for taking care of patients. He’s not ready to retire. He recently opened a rapid recovery center, which offers a collection of equipment new to the area, including a cryosauna, antigravity treadmill, deep tissue laser, hyperbaric chamber, decompression table and compression recovery boots. “We have the ability to help the patient on a whole other level,” he said. He is always pushing the envelope – one of the keys to the success of his business. The other is his team of staff, doctors, therapists and trainers. Individuals can sign up for an eight-week wellness program that focuses on putting all the pieces for good health together. The structured program helps people break their unhealthy habits. “A lot of problems can be reversed or avoided in the first place,” he said. His goal is to provide the absolute best service that he can for patients and the community and to continue to innovate and stay on the cutting edge of natural health care. 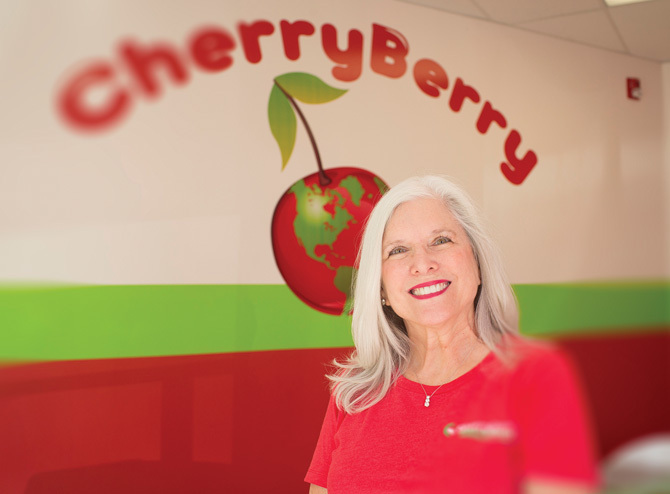 Dallas and Robyn Jones started CherryBerry in Tulsa, Oklahoma, and originally planned to open three stores. Jeff Cash and his wife, April, knew the couple, and Jeff and his sister, Denise, partnered to become the first licensees. “We provide a fun creative environment where you can get a healthy frozen dessert,” said Denise. The store sells 14 flavors of frozen yogurt and 40 toppings on a rotating basis. Customers can build their own creations. The store is available for charity fundraisers and donates up to 20 percent of the proceeds back to the organization. It also has a party room which can be reserved at no charge. When the store rotates out flavors, any unused portion that hasn’t expired is donated to Helping Hands or dished up free of charge to customers. “I’m known as the CherryBerry lady,” said Denise. Kent Kraft and Robert Woodrow are real estate brokers and property managers specializing in agriculture. They help farmland owners who are not farmers take care of their investments. Every farm is different. Both grew up on family farms, Kent in Iowa and Robert in Tazewell County. “Most farmland is owned by non-farmers,” said Kent. Their “muddy boots” philosophy sets them apart from other farm management companies. Rather than just sit behind a desk, they visit the properties they manage. “We put a lot of miles on our vehicles every year,” said Kent. The job is challenging. “Something new comes up every day,” said Kent. Business is good. They manage just under 40,000 acres. Kent manages properties across the belt of Illinois from the Mississippi River to the Indiana border, including Iowa; while Robert manages properties in Illinois, Wisconsin and Minnesota. 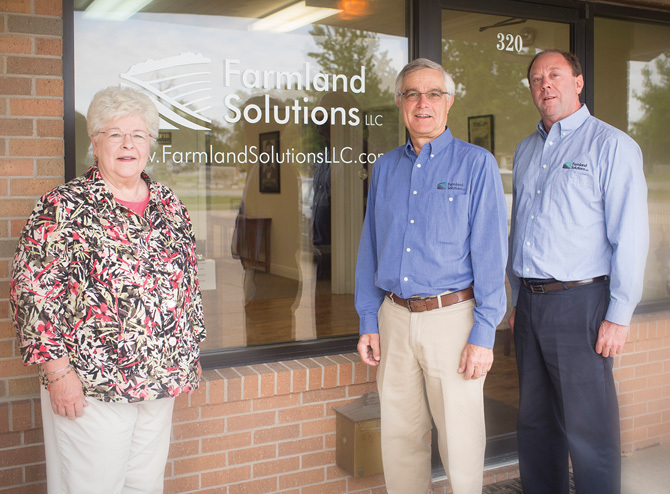 Their goal is to continue to provide exceptional farm management services to their clients. “We’re a fairly well kept secret,” said Kent. 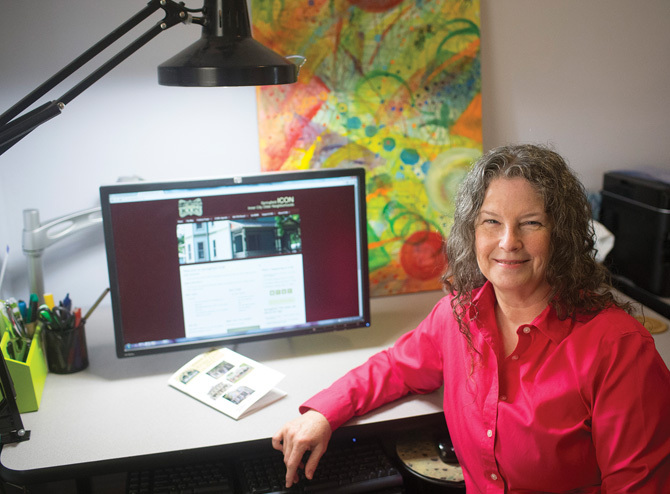 Carol Kneedler offers an array of Internet marketing services to nonprofits and business owners, including website design, social media marketing, search engine optimization and email marketing. She is starting to see significant growth outside Springfield. 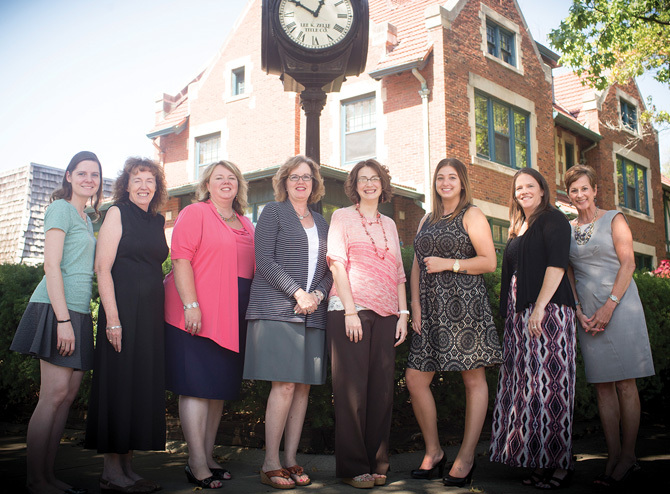 “I work with clients to help them accomplish their goals,” she said. She does most work in-house, but will outsource specialty work. She works with clients to turn projects around on their timeline. Many of her clients know they need a website but don’t know what to put on it. She helps clients focus on who they are and what they want to do more of. She tells clients “their website has goals just like their business.” Clients need to prioritize and focus on the message they want their website to convey. She enjoys learning about other businesses and nonprofits and what drives them. If their website doesn’t reflect this, people won’t pick up the phone. She provides businesses with the tools to run their own websites although she will work with clients on technical issues. “You can never know somebody’s business as well as they know it,” she said. “I understand what it takes to run a business,” she said. employees: 0 – Those who work there rent space that determines the number of days each works each month. Sue Schwartz and her family have moved around quite a bit. When her children would ask why they were moving again, she would say: “We’re gypsies. That’s what gypsies do.” Hence came the name of her latest boutique. She started the first artist co-op in Springfield after a trip to Jerome, Arizona. “I’ve always enjoyed painting and designing different things but didn’t know how to get my products out there,” she said. She figured other artists had the same problem so she opened Studio on 6th in 2004 and sold it two years ago. She offers a fun, happy shopping environment for customers. The boutique carries clothing, jewelry, accessories, home goods, baby items, workout wear and American-made shoes and boots. “We provide customers with great service at a great price-point,” she said. She features work from local artists, including Jackie Ralph, Anjanette Myren, Jeannie Cox, Vicki Baxley, Cathe Pierce, Jennifer Lowe, Cindy Ryan and Lynell Loftus. Everyone bet against her initially, but her business has taken off. “I’m pleasantly surprised we’ve done so well,” she said, and credits her business ethics to her parents. A friend introduced Brian Chandler to CrossFit. When he graduated, he wasn’t sure what he wanted to do. 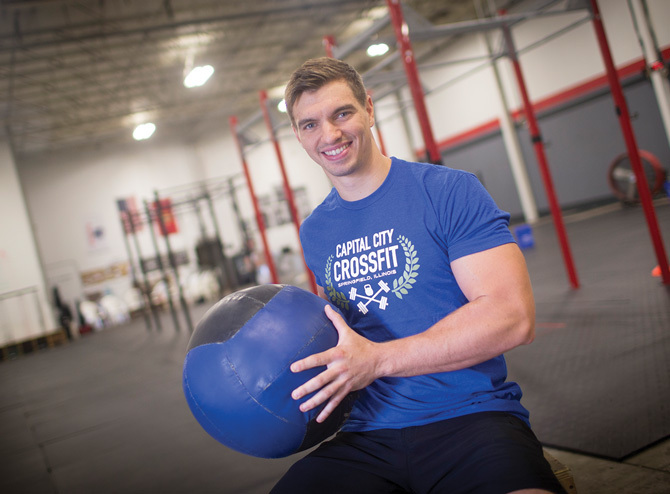 At the time, CrossFit was making inroads into the Midwest. He decided to take a chance and open his own business. CrossFit focuses on functional fitness, strength and conditioning. His goal is to improve the health and quality of life of all members. He likes seeing people accomplish things they never thought they could. He offers one-hour morning and afternoon classes Monday through Friday as well as Saturday morning classes and specialty classes. For those new to CrossFit, he teaches a beginners class, which starts the first Monday of every month. After 20 years working for CILCO, Mike Bulpitt finally decided it was time for a change and went into business for himself. In 2006, his wife, Beth, heard about franchise opportunities offered by Bath Planet. 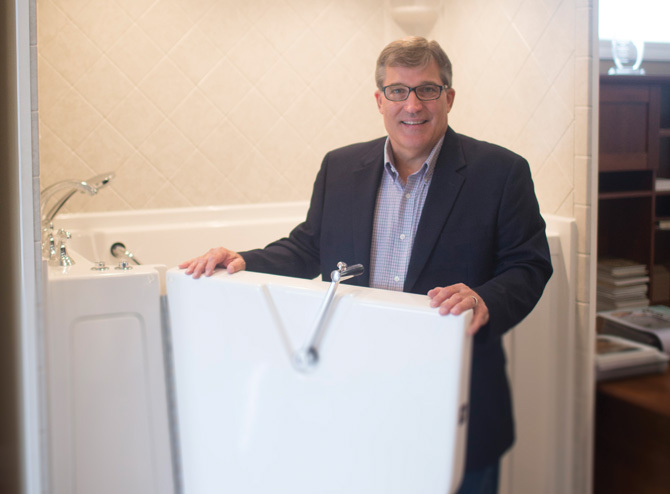 The company installs cost-effective, low-maintenance one-piece tub and shower systems that meet the needs of their customers with accessibility issues. “It’s the best product out there,” he said. It has earned the Good Housekeeping Seal of Approval. The seal provides a two-year money back guarantee. No other company also offers a lifetime warranty. Accessibility is a large part of his business. He works with the Veterans Administration and can install ADA-compliant tub and shower systems. People are staying in their homes longer and are updating their bathrooms. This system makes it easier for people to get in and out of their tub. “The industry knows so many people want this,” he said. He plans to keep moving forward and would like to hire more employees. He is looking for someone to step into the business, help grow it and eventually take over when he retires. “This was the best move I ever made,” he said. Lee Zelle started his business as an experiment to see if it would supplement his income as a real estate attorney. It soon overshadowed his practice. The full-service agency provides title searches, title commitments and policies, judgment and lien searches, closing services, construction escrow administration and foreclosure searches and can prepare legal documents such as deeds, easements and condominium conversions. His office serves Sangamon County and surrounding counties. 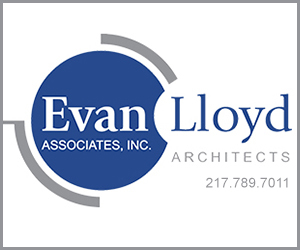 The independent agency represents Chicago Title Insurance Company and First American Title Insurance Company, and is the largest title company in central Illinois. It is based out of the Metz home, which was built in 1908. He purchased the building from David Wilson, a local attorney and developer, and rehabbed it. “I grew up in the area and had always admired it,” he said. His staff consists of problem solvers. He credits the recognition his company receives to senior vice president Jennifer Johnson and her team. Together, his staff has a combined total of more than 100 years of experience in the title industry. Their staff treats clients like family. “Our goal is for everyone to feel satisfied and happy,” said Johnson. 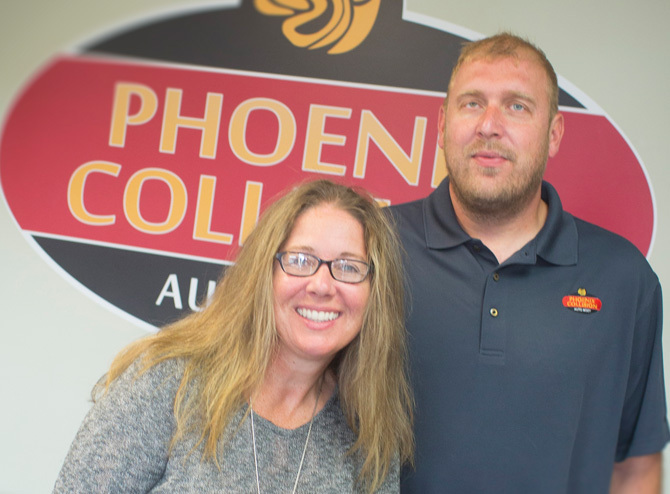 Like a Phoenix rising from the ashes, Matt Milkint opened Phoenix Collision after the 2006 tornadoes destroyed his former place of employment. He decided to go out on his own, bringing with him more than 13 years of experience. Tressa joined him a month later. 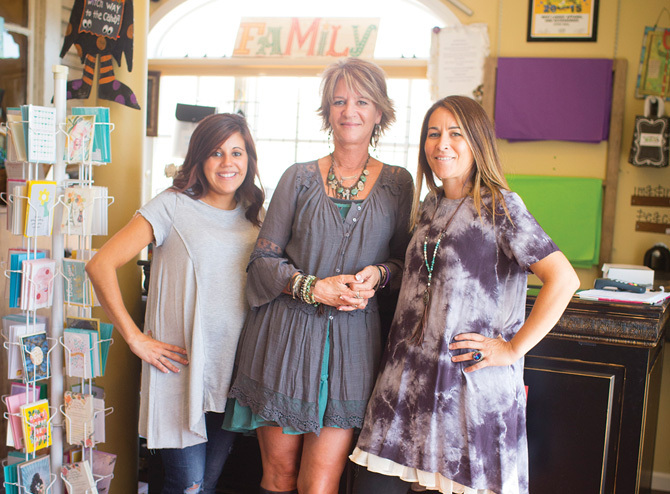 Friends and family were skeptical in the beginning because the business is located off the beaten path, but customers in Pleasant Plains and the surrounding area have been very supportive. They purchased the building in 2011 and opened a storage unit business two years ago. Matt is always interested in new technology. They are adding a state of the art paint booth and converting the former paint booth into an aluminum vehicle repair clean room. They are also investing in new plastic welding technology. “Our employees are the key to our success,” she said. 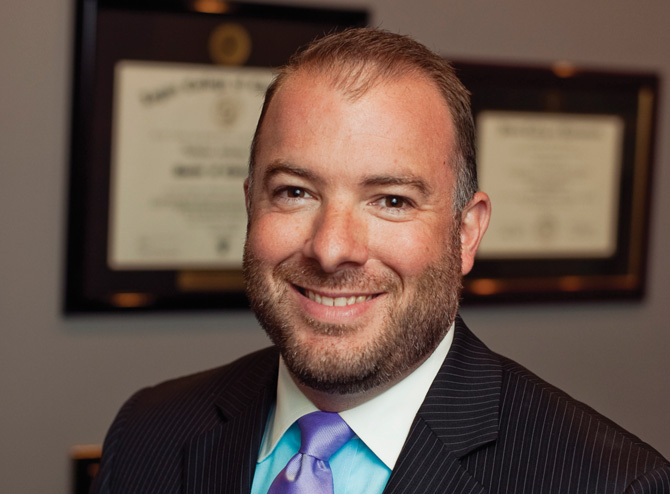 Dr. Timothy Lonergan provides general dentistry for families. “We’re still a small town practice,” he said. He is very involved with the community. He provides a full array of dental services from routine exams and cleanings to crowns and bridges to partial dentures and implants. He became frustrated at the number of patients who couldn’t afford dental work because they didn’t have dental insurance and began offering a dental membership program. For $197 a year, patients receive two cleanings, an exam and 20 percent off dental services. “It’s been a huge success,” he said. His goal is to be known as the people’s dentist. He runs a very family-oriented practice, where patients and staff get to know one another. “I have the best patients on the planet,” he said. He credits his staff with his success. “I would not be in this position if not for my staff,” he said. He bought the lot next door to his current practice several years ago and plans to add on to his current building or construct a new one on the site in the near future.